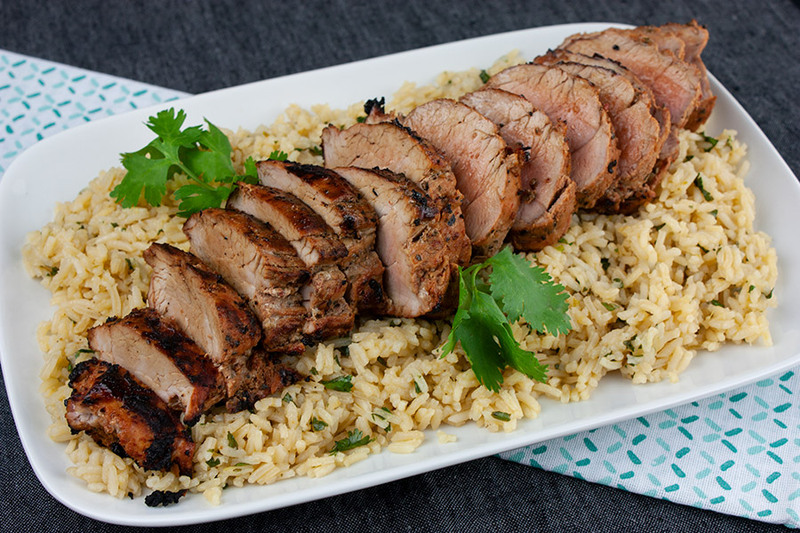 Grilled Adobo Pork Tenderloin ratchets up the standard pork tenderloin to a level that is so freaking good that you’re going to be kicking yourself for not doing this before. 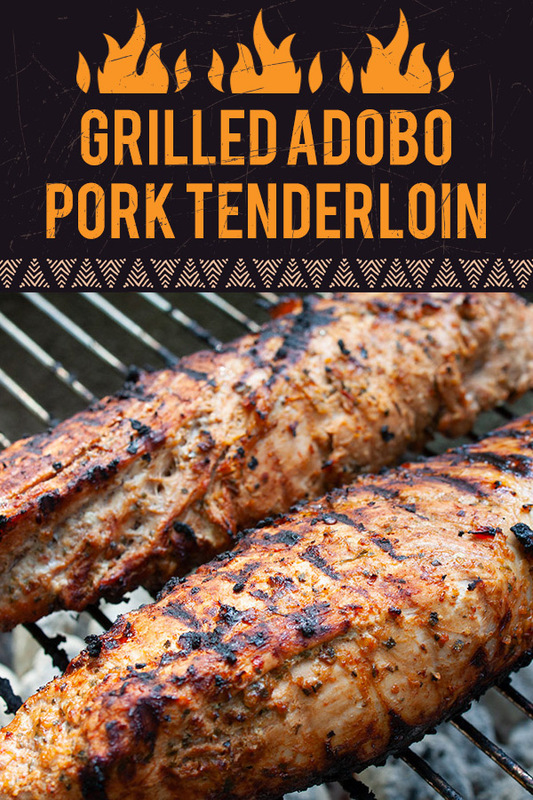 You get the spiciness of the adobo sauce and chipotle, you get the char off the cook on the grill, and you get a super moist, flavor-filled firm bite of the pork itself. 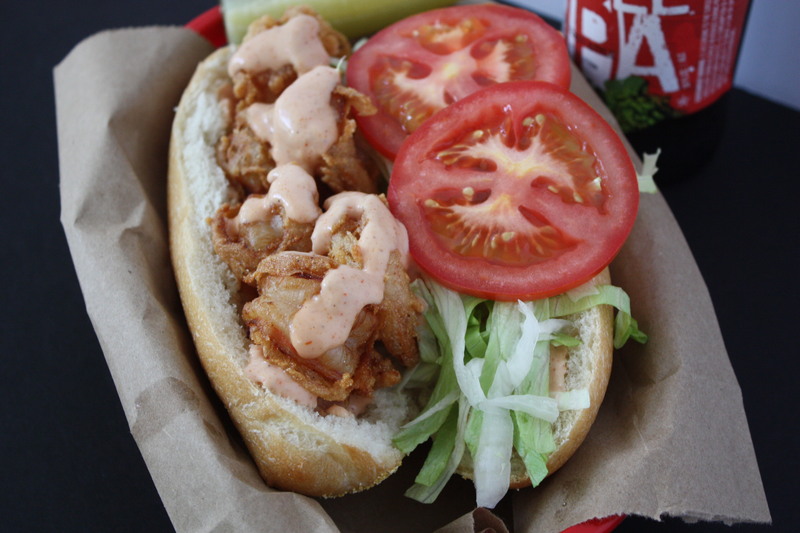 It is a true restaurant quality dish that you will want again and again. Plus you get the health benefits of eating a lean cut of meat that is only 120 calories and 3 grams of total fat per serving. This is win-win all day long. 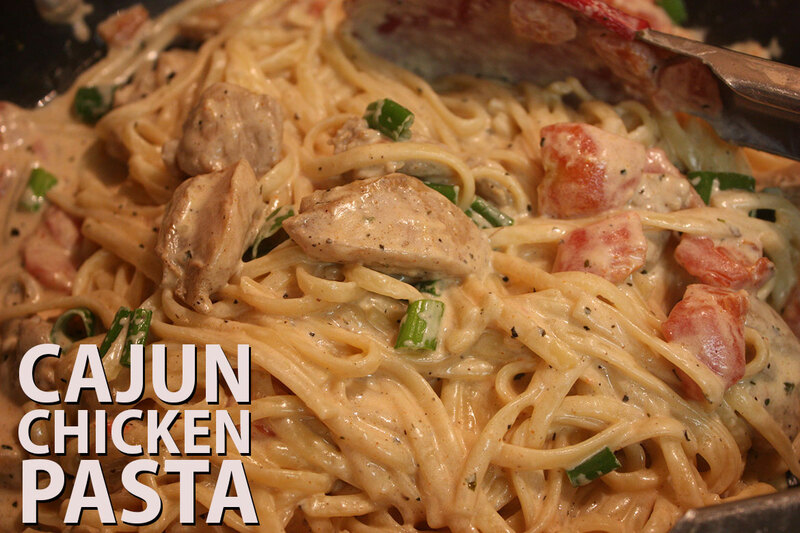 This recipe is very easy and delivers the goods. The first step is to make the marinade and cover the pork tenderloin, the second step is to grill it up. That’s what makes this a great recipe; very little work, major flavor! To start, trim your pork tenderloin of any excess fat or silver skin. Next, prepare your marinade. 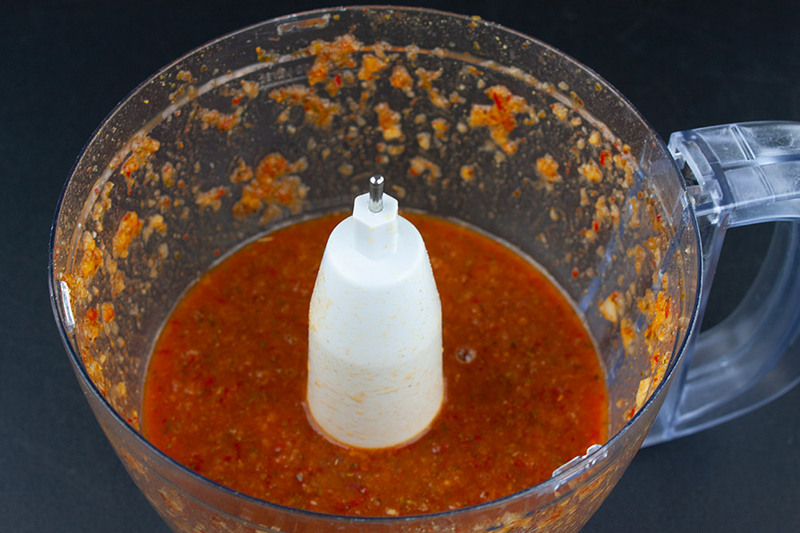 Making the Abobe marinade as is easy as adding all the listed ingredients into a blender or food processor and puree. Next, transfer the marinade to a zip lock bag and add the pork tenderloin. Remove as much air as possible. Seal and refrigerate. You want this pork to marinade for 12-24 hour hours. We recommend 24 hours. 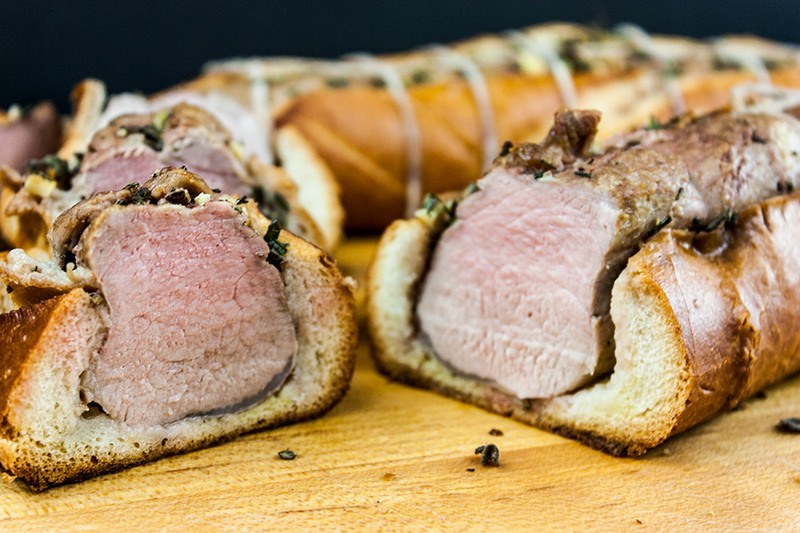 The longer it marinates the more flavor will infuse with the pork tenderloin. Note: You can save a small amount of your marinade to drizzle over the final dish to boost up the flavor. Just set aside in a small container before adding the pork tenderloin and refrigerate until ready to use. About an hour before grilling remove the pork tenderloin from the refrigerator to take the chill off the meat. Start your grill and allow to get to temperature. If using charcoal, allow coals to burn until they develop a white ash covering. 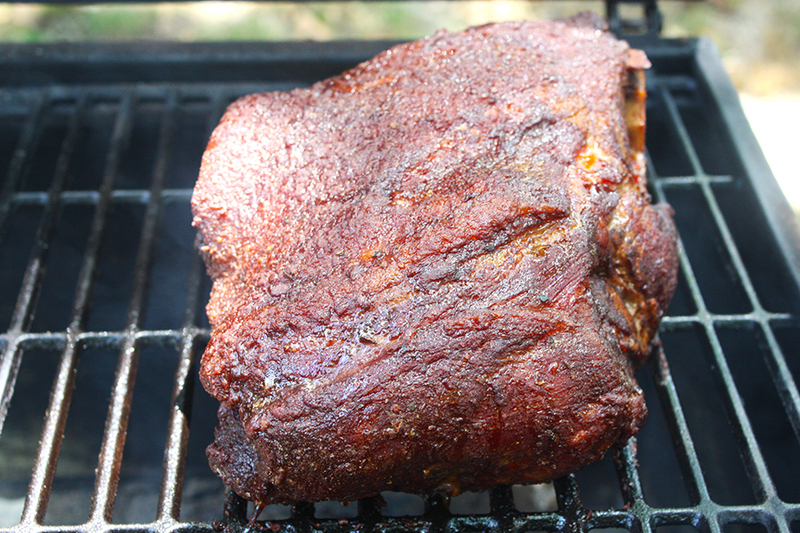 When your charcoal is ready, cover and allow to heat up for a few minutes. Next, coat grate with vegetable oil with a brush (watch out, it might flame up on you) and place your pork tenderloin in the center of the grill. Cover and cook for 13-15 minutes, turning every minute to two minutes until the internal temperature of the pork tenderloin reaches 145 degrees Fahrenheit. Once it is off the grill, set it on a cutting board and allow to rest for 10 minutes before slicing. This will allow the grilled adobo pork tenderloin to calm down and redistribute the juices keeping the meat nice and moist. Once it’s done resting, slice to your desired thickness and serve with your favorite side. We prepared a Cilantro Lime Rice dish that was an amazing pairing. 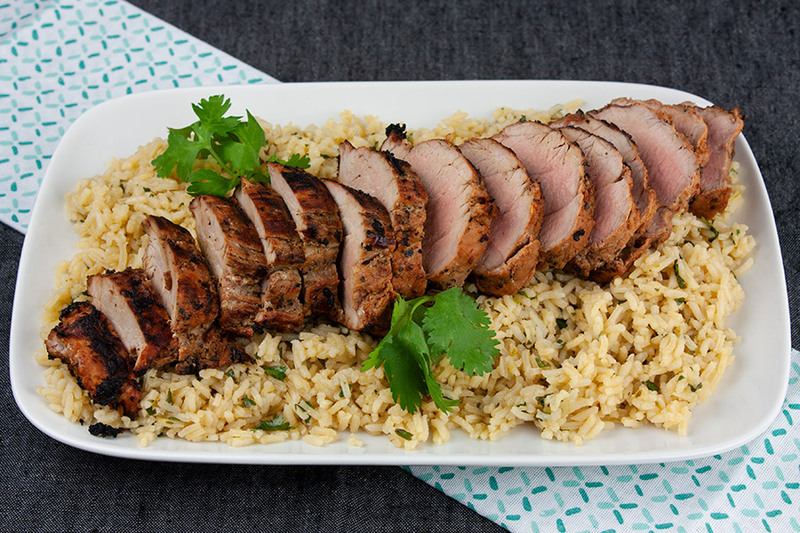 You got all that smoky spicy grilled adobo pork tenderloin with the tang of the lime and cilantro of the rice. Man, it was such a perfect bite! Some things can go SO WELL together. If you make this, make the rice too! 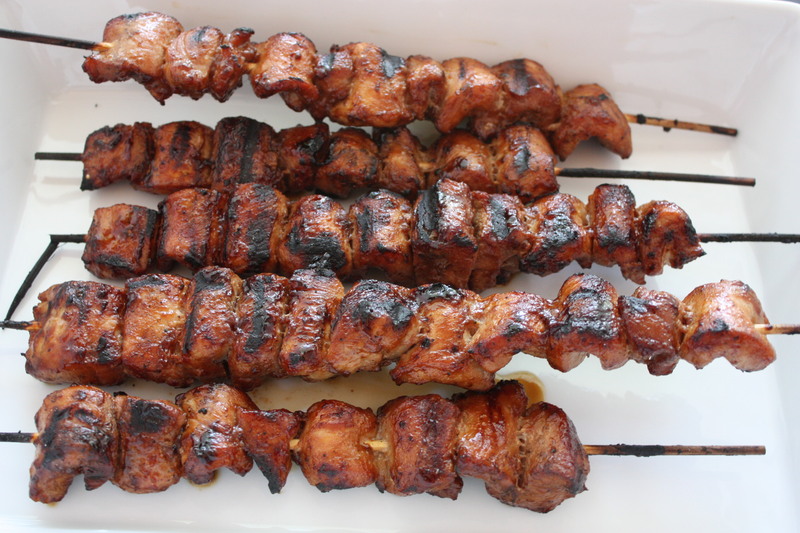 You can also drizzle some of the optionally saved marinade over the sliced grilled adobe grilled pork tenderloin to boost that adobo flavor even more if you’re so inclined. Both ways are awesome. 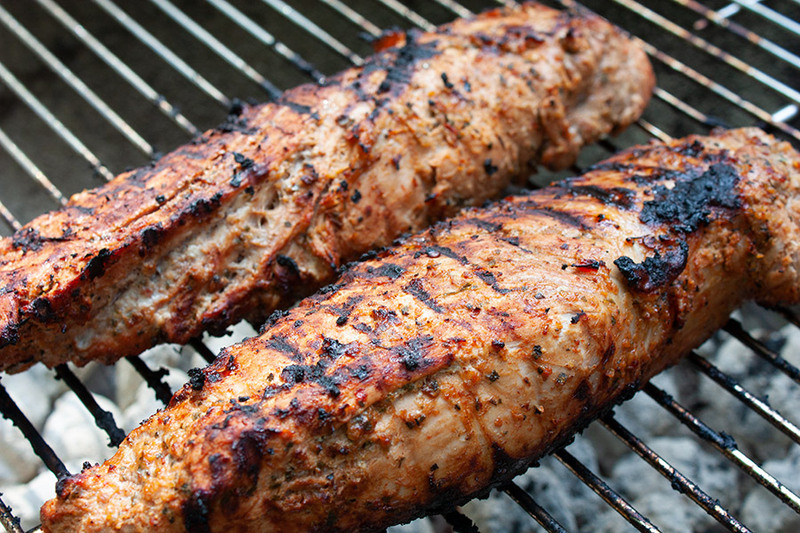 This Grilled Adobo Pork Tenderloin elevates an inexpensive piece of meat to a restaurant quality treat that your friends and family will soon not forget. I personally enjoyed the leftovers for a few days after. I had some with the cilantro lime rice, I sliced some up and put it on a bun and had a great sandwich, I even just went in and sliced some up and ate it cold. It was that GOOD! 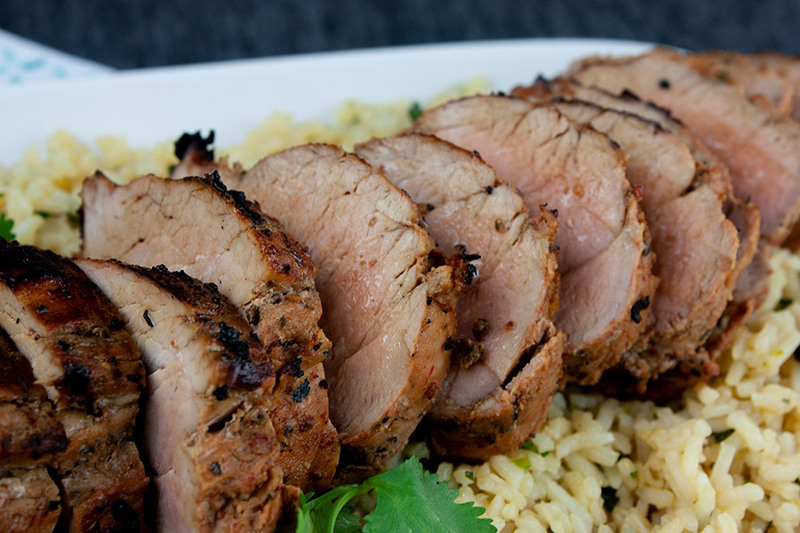 You will be glad you tried this grilled adobo pork tenderloin, I promise! 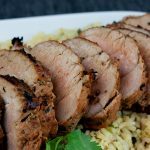 Grilled Adobo Pork Tenderloin - This grilled adobo pork tenderloin elevates a good meal into an epicurean delight that your friends and family will not soon forget. Easy and delicious! Place all ingredients into blender or food processor and puree. 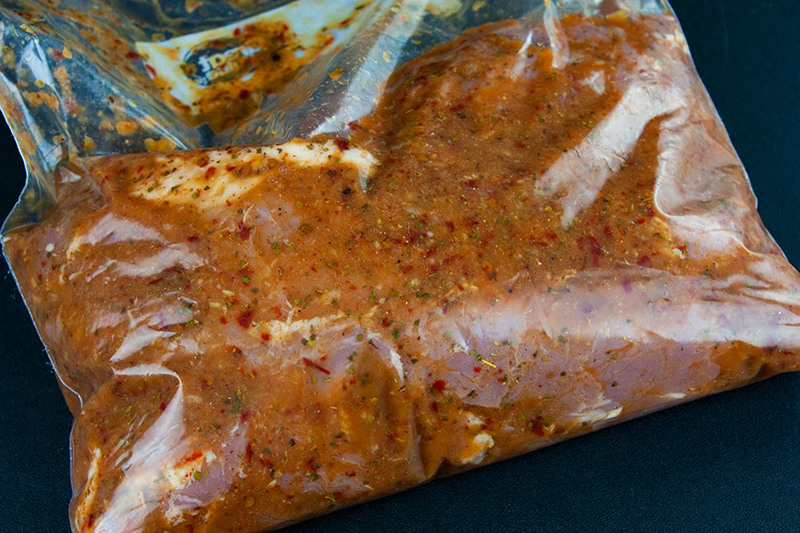 Place tenderloins and adobo marinade in zip lock bag and coat evenly, removing as much air as possible. Refrigerate for 12-24 hours. OPTIONAL - Hold back a small amount of marinade before adding pork in a separate container to drizzle over pork when grilling is complete. 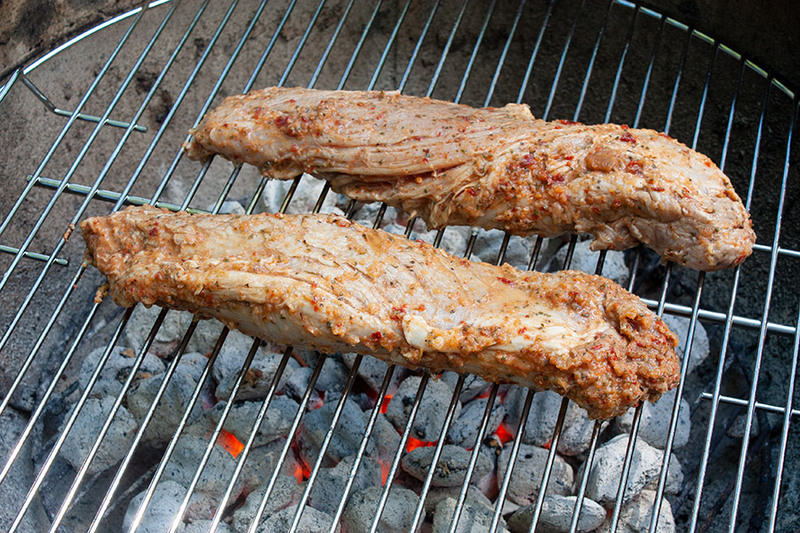 An hour before cooking, take the marinated pork out of the refrigerator. Start grill using a preferred method. 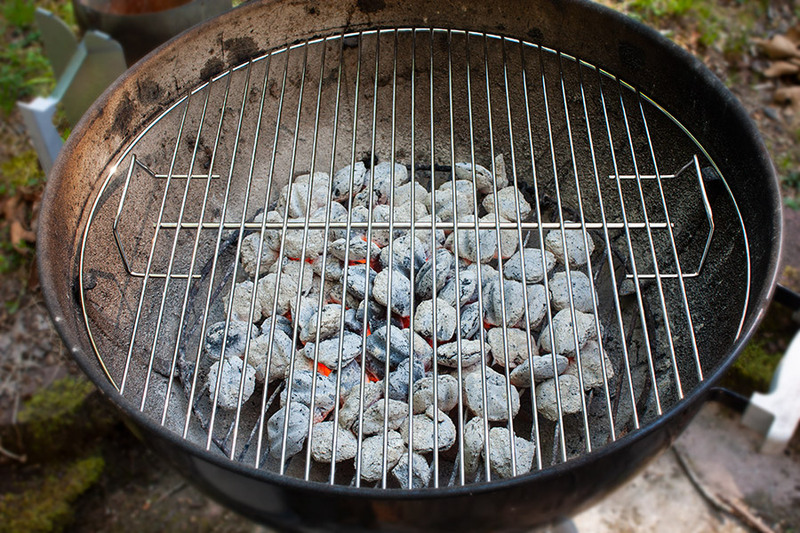 When coals are ashy and white, rake them evenly in the grill (if using charcoal). Cover to heat grill for approximately. 2 minutes. Coat grate with oil and place pork tenderloins in the center. Grill for 12-15 minutes, turning every minute to two minutes until internal temperature is 145 degrees Fahrenheit. 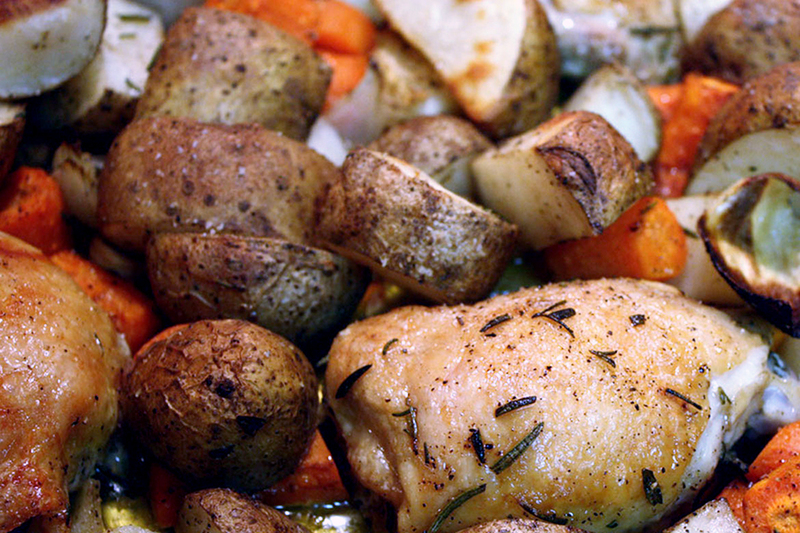 Remove from grill and allow to rest for 10 minutes before slicing.